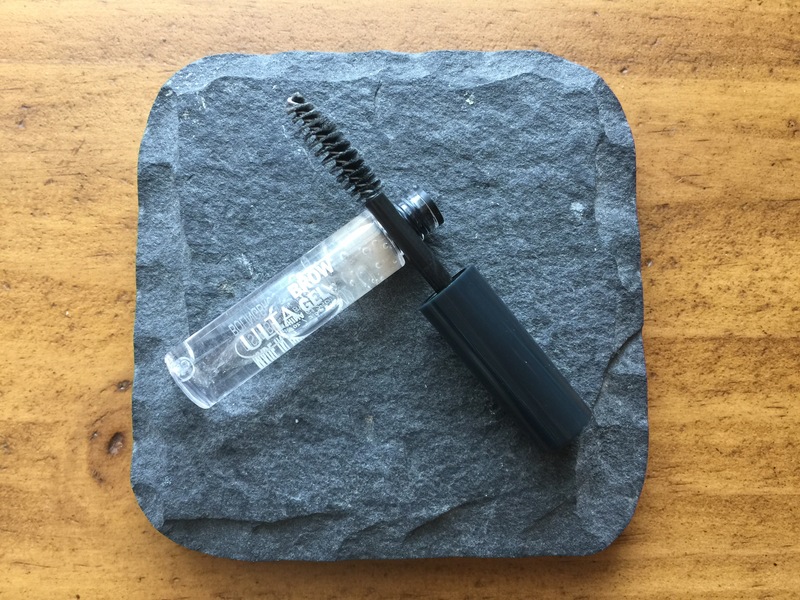 I recently received a sample of the Anastasia Clear Brow Gel in my September Play! by Sephora box. First, kudos to you, Sephora, for including such a popular item in your subscription box! I was really excited to see that. I immediately knew I wanted to test it against a few other clear brow gels I already owned and liked to see if it really was worth the $22 price tag. I gave a quick overview of this test in my review of this subscription box (which may or may not be published by the time I post this review), but here’s the more detailed account if you’re wondering how these products stacked up to one another. I have to say, my favorite part of the Anastasia brow gel is the packaging: I love that the tube is not clear. 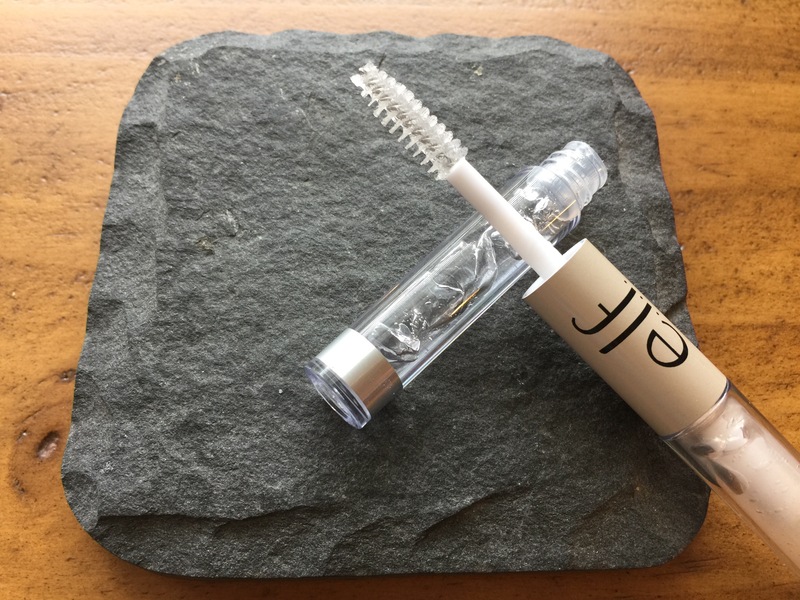 We all know our clear brow gels will get foggy and gross-looking after a few swipes over makeup and brow pencils–do we really need to see it through the tube? I love that the Anastasia gel hides that little fact–it just makes it a bit more pleasant to use. My other favorite thing about this gel is the wand. It is a bit smaller than the other two brow gels we’ll look at today, and the bristles are a bit firmer and spaced further apart. This wand construction really allows the gel to get into the brow hairs, rather than sitting on top of them. This helps with staying power–the brow hairs stay put all day, rather than moving because only the outermost hairs have gel on them, which is an issue with the Elf brow gel in particular. If you have thicker brows, this will be very important for you. The wand is also tapered at both ends, which allows for precise application and shaping. On the brows, it is not crunchy, but you can definitely tell that your brows will stay in place. It sort of feels like they have a medium-hold hairspray on them, but they still look natural. The product does have a bit of an alcohol smell to it. I don’t think it is too strong, but if you are sensitive to smells or just don’t like the smell of rubbing alcohol, this may be a concern for you. The full sized tube comes with 0.28 oz. The Elf brow gel ($2 for 0.08 oz-) is great if you have sparse brows. 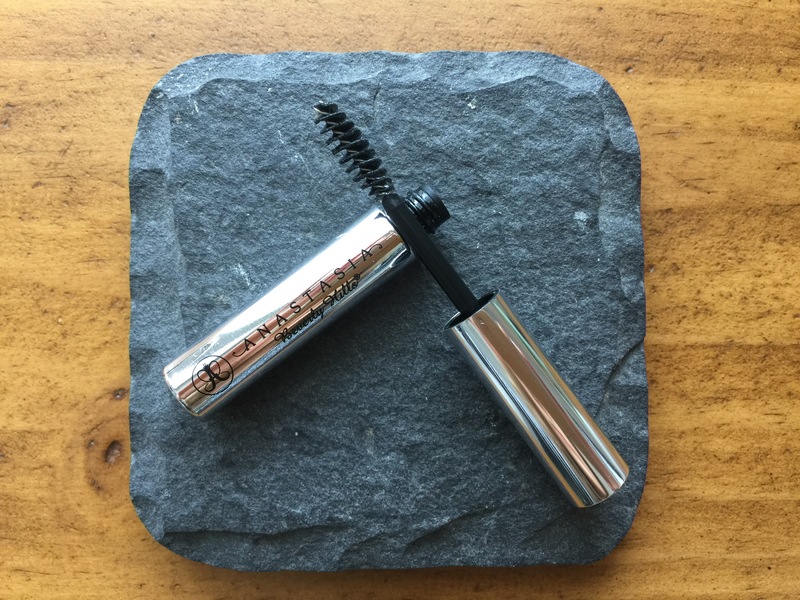 It worked fine on the outermost parts of my brows, but where they are thicker towards the inner corners, the hairs definitely moved around during the day. The formula and wand are thicker than the Anastasia gel, so it doesn’t feel like it’s really penetrating the surface of the brows. The bristles are not quite as firm, and the wand is barely tapered, so it’s harder to apply precisely. It does stay soft on the brows and does not feels crunchy, so that’s a plus. And it does not smell like alcohol. It actually smells sort of plastic-y, but it’s barely noticeable. So the Elf brow gel is fine for someone with sparse brows, but it just doesn’t perform in the same way as the Anastasia. For $2, though, unless you have really unruly brows, this would work for you. Do note, though that while it is $2, it contains 2 oz. less product than the Anastasia and the Ulta brands. The Ulta Eyebrow Gel ($6 for 0.28 oz.–exactly the same size as the Anastasia) is definitely the dupe; the wand and formula of the Ulta brow gel are quite similar to the Anastasia gel. I actually really like the Ulta brow gel. It does have a clear tube, but it performs so well that I can let this go. The wand is slightly tapered at one end (not as tapered as the Anastasia, but more than the Elf) and the bristles are dense and spaced well to get the gel into the brows for precise shaping and hold. The formula and hold are about the same as the Anastasia; it stays put all day and does not get crunchy or overly stiff. Final Word: If you’re on a budget, the Ulta Brow Gel is the best option for amount of product, precision, hold, and staying power. The Anastasia Brow Gel is an excellent product, but in my opinion, it is not worth the price tag when the Ulta performs just as well for a fraction of the price. The Elf brow gel is not a dupe, but it is fine if you do not need much hold or do not plan to wear it all day. It also contains far less product, so if you’re just trying out brow gel it may be a good option, but it’s not as good of a value as it seems since the other two contain three times the amount of product. I have never thought about using clear gel on the brows, how stupid of me not to. I use the Benefit Gimme Brow, I love it but sometimes there are days where I just want them in order but natural. That’s so funny! I’ve had the opposite experience–I’ve always used clear brow gel, but somehow it never occurred to me that I could use a tinted brow gel until recently. Now I alternate depending on how natural I want to look. Thanks for commenting!